(a) A claim or interest, proof of which is filed under section 501 of this title, is deemed allowed, unless a party in interest, including a creditor of a general partner in a partnership that is a debtor in a case under chapter 7 of this title, objects. (9) proof of such claim is not timely filed, except to the extent tardily filed as permitted under paragraph (1), (2), or (3) of section 726(a) of this title or under the Federal Rules of Bankruptcy Procedure, except that a claim of a governmental unit shall be timely filed if it is filed before 180 days after the date of the order for relief or such later time as the Federal Rules of Bankruptcy Procedure may provide, and except that in a case under chapter 13, a claim of a governmental unit for a tax with respect to a return filed under section 1308 shall be timely if the claim is filed on or before the date that is 60 days after the date on which such return was filed as required. (d) Notwithstanding subsections (a) and (b) of this section, the court shall disallow any claim of any entity from which property is recoverable under section 542, 543, 550, or 553 of this title or that is a transferee of a transfer avoidable under section 522(f), 522(h), 544, 545, 547, 548, 549, or 724(a) of this title, unless such entity or transferee has paid the amount, or turned over any such property, for which such entity or transferee is liable under section 522(i), 542, 543, 550, or 553 of this title. (C) such entity asserts a right of subrogation to the rights of such creditor under section 509 of this title. (2) A claim for reimbursement or contribution of such an entity that becomes fixed after the commencement of the case shall be determined, and shall be allowed under subsection (a), (b), or (c) of this section, or disallowed under subsection (d) of this section, the same as if such claim had become fixed before the date of the filing of the petition. (f) In an involuntary case, a claim arising in the ordinary course of the debtor’s business or financial affairs after the commencement of the case but before the earlier of the appointment of a trustee and the order for relief shall be determined as of the date such claim arises, and shall be allowed under subsection (a), (b), or (c) of this section or disallowed under subsection (d) or (e) of this section, the same as if such claim had arisen before the date of the filing of the petition. 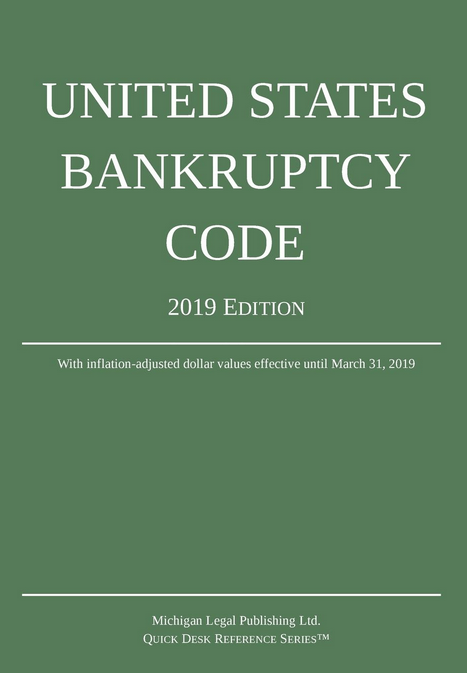 (1) A claim arising from the rejection, under section 365 of this title or under a plan under chapter 9, 11, 12, or 13 of this title, of an executory contract or unexpired lease of the debtor that has not been assumed shall be determined, and shall be allowed under subsection (a), (b), or (c) of this section or disallowed under subsection (d) or (e) of this section, the same as if such claim had arisen before the date of the filing of the petition. (2) A claim for damages calculated in accordance with section 562 shall be allowed under subsection (a), (b), or (c), or disallowed under subsection (d) or (e), as if such claim had arisen before the date of the filing of the petition. (h) A claim arising from the recovery of property under section 522, 550, or 553 of this title shall be determined, and shall be allowed under subsection (a), (b), or (c) of this section, or disallowed under subsection (d) or (e) of this section, the same as if such claim had arisen before the date of the filing of the petition. (i) A claim that does not arise until after the commencement of the case for a tax entitled to priority under section 507(a)(8) of this title shall be determined, and shall be allowed under subsection (a), (b), or (c) of this section, or disallowed under subsection (d) or (e) of this section, the same as if such claim had arisen before the date of the filing of the petition. (j) A claim that has been allowed or disallowed may be reconsidered for cause. A reconsidered claim may be allowed or disallowed according to the equities of the case. Reconsideration of a claim under this subsection does not affect the validity of any payment or transfer from the estate made to a holder of an allowed claim on account of such allowed claim that is not reconsidered, but if a reconsidered claim is allowed and is of the same class as such holder’s claim, such holder may not receive any additional payment or transfer from the estate on account of such holder’s allowed claim until the holder of such reconsidered and allowed claim receives payment on account of such claim proportionate in value to that already received by such other holder. This subsection does not alter or modify the trustee’s right to recover from a creditor any excess payment or transfer made to such creditor. (C) no part of the debt under the alternative repayment schedule is nondischargeable. (B) the proposed alternative repayment schedule was made prior to expiration of the 60-day period specified in paragraph (1)(B)(i).